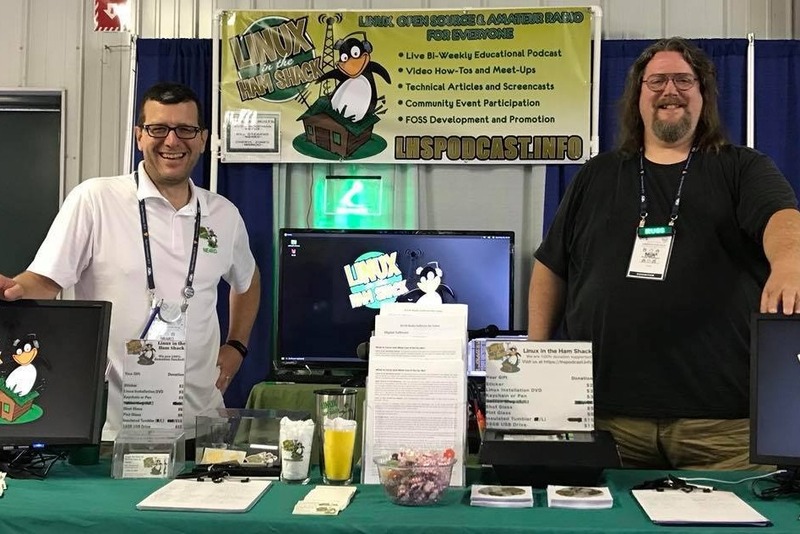 Linux in the Ham Shack (LHS) is an educational, technical podcast and an organization for public outreach in the amateur radio and open source space. Originally begun to help amateur radio operators move from Microsoft and other closed-source operating systems and applications over to Linux and Free Software, the program and supporting community outreach has broadened its scope. LHS helps to expose ham radio enthusiasts to FOSS and FOSS enthusiasts to ham radio. We also dive into topics related to the politics of communication, hardware reviews, interviews with important members of community organizations, vendors and pioneers in the amateur radio and computing space. Any topic from emergency communication to software patents to hardware resources, tips and tricks and beyond are discussed. Beyond releasing a weekly podcast about the topics listed above, LHS began early on to be a part of the communities it represents. Over the more than ten years of its existence, the hosts of the show have attended open-source and amateur radio events around the United States to bring their own brand of community support, technical expertise and encouragement to attendees. Keeping up with trends in computing and communications can be daunting and LHS is always striving to help people stay informed and active in two aspects of our daily lives that it would be very difficult to live without. For the most part, LHS is entirely self funded. The hosts put their own time and money into the project to keep it going. Support of the podcast by listeners is available via Patreon and those funds are useful in keeping the lights on, as the saying goes. But community events are outside the scope of that funding and so the burden rests solely with the members of the LHS crew. Hamvention is the largest amateur radio convention in the entire world and it is where LHS has the most impact every year. The hosts are able to answer technical questions, interview industry leaders and promote open source and amateur radio computing culture to the most people at any one time. Being the biggest, however, it's also the most costly. So each year, LHS asks donors to help defray half of the cost of attending Hamvention. The total outlay, including travel, sustenance, conference expenses, etc. is about $2,000 each year, which the hosts cover half of. Crowdfunding campaigns like this one are used to offset the other half. Donations help cover travel costs, conference costs, printed educational materials, Linux distribution DVDs, live stream infrastructure, booth materials and much more that are necessary for a successful conference experience. With your help, LHS can provide the best conference experience for attendees who visit our location, who are new to open source, searching for answers or looking for advice on scientific topics, technical skills, computing, communications and myriad other areas of interest. LHS could not do all of this without your support and we are extremely thankful every year that donors are willing to help us achieve our goals. If you are able to donate, thank you, thank you, a thousand times thank you. If you're not, please share our fundraiser everywhere you can. Every little bit helps. The LHS crew looks forward to seeing YOU at Hamvention 2019 in Xenia, Ohio, this year.